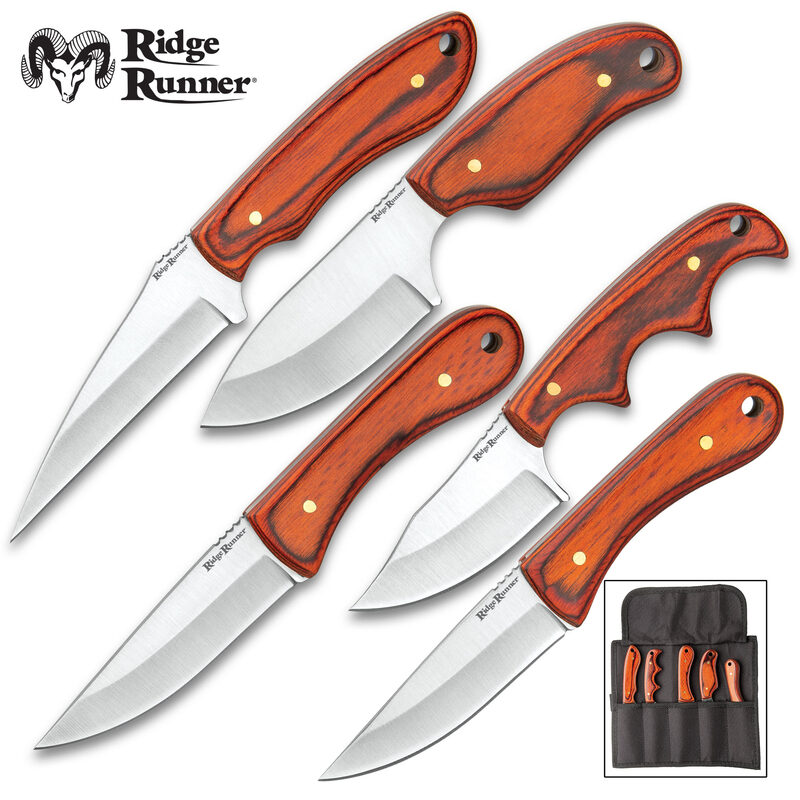 Ridge Runner Five-Piece Brown Wooden Knife Set With Pouch - Game Cleaning, Stainless Steel Blades, Pakkawood Handles | BUDK.com - Knives & Swords At The Lowest Prices! 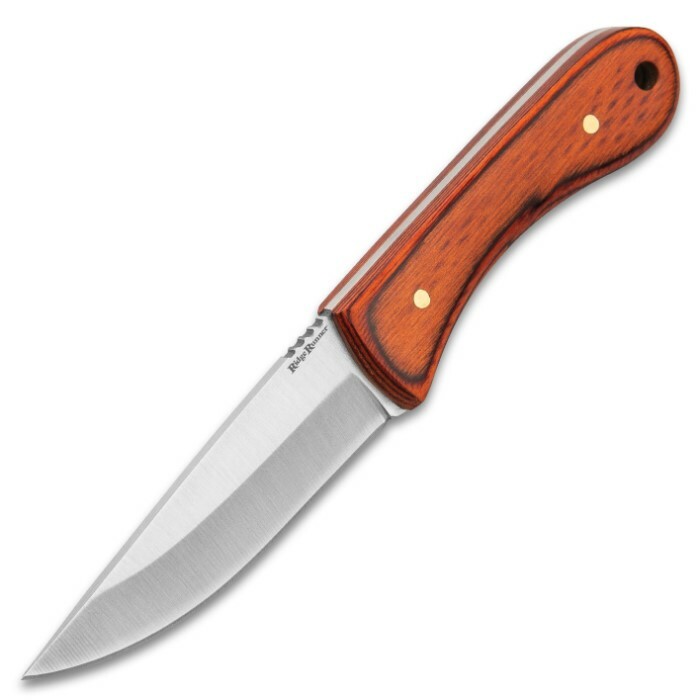 Take our Ridge Runner Five-Piece Brown Wooden Knife Set out with you when you go hunting and use them for a variety of game cleaning tasks. 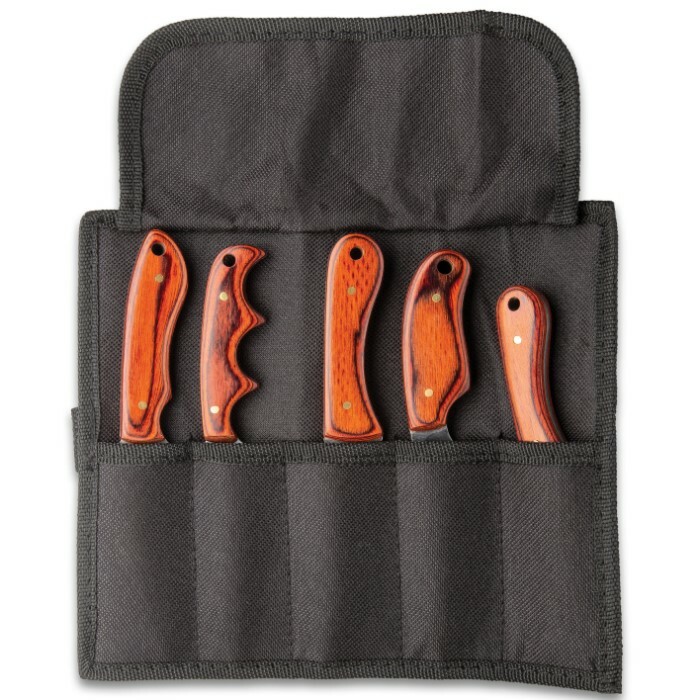 This set of five knives features thick, brown pakkawood handles to give you a secure grip when using them. 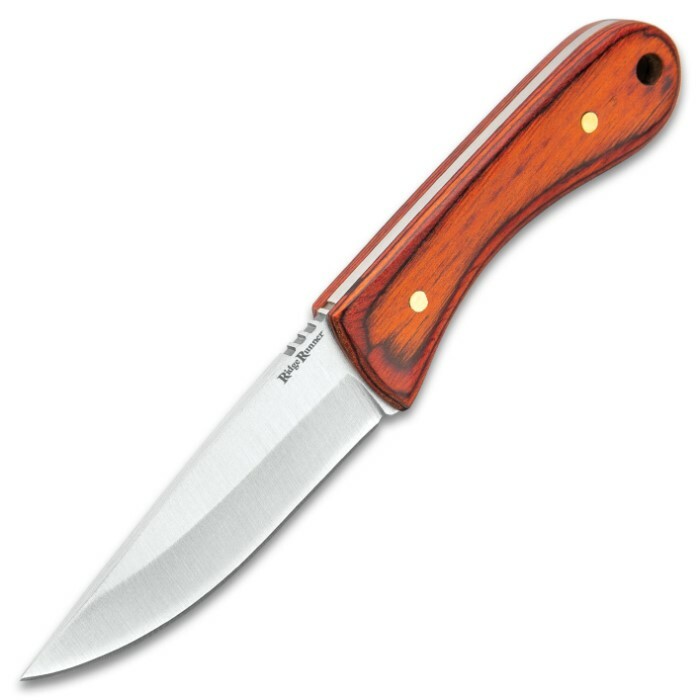 Each full-tang blade has jimping and is made of rust-resistant stainless steel. 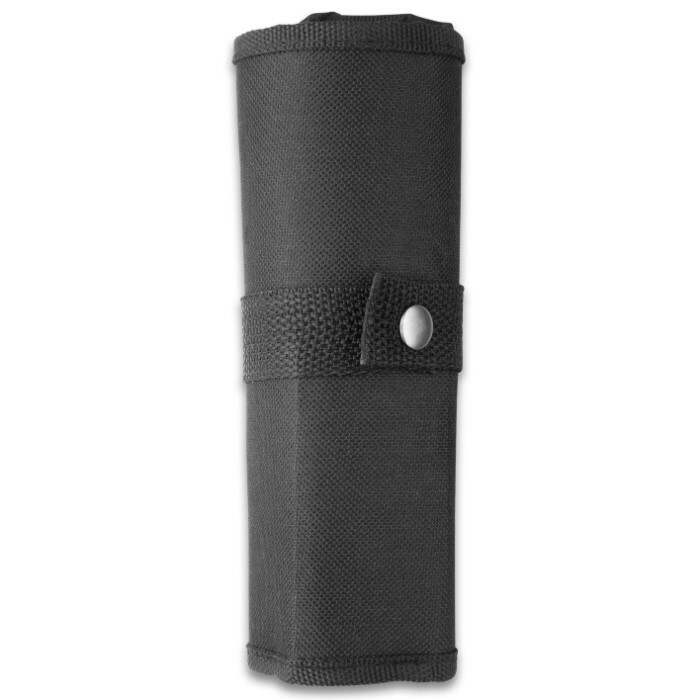 A durable nylon roll pouch with a PVC insert and snap closure is included. 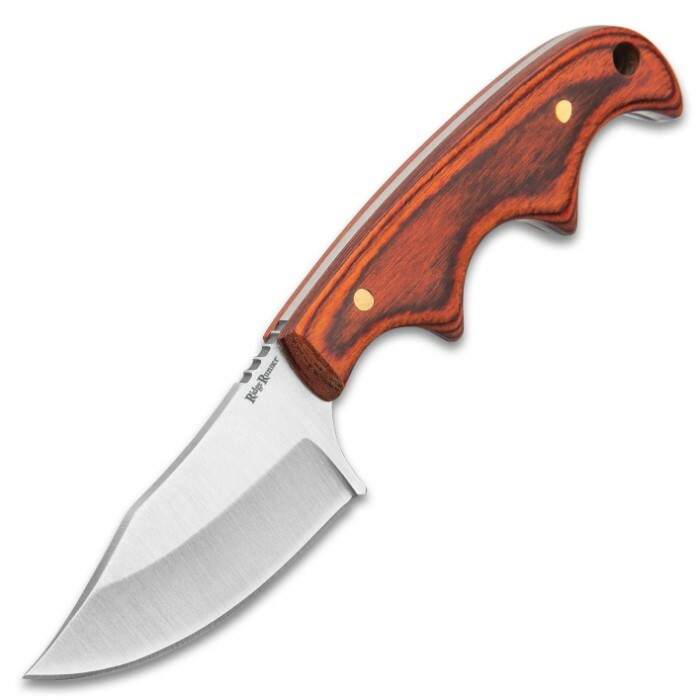 Knives included in the set are a: Drop Point, 3" blade, 5 5/8" overall; Wharncliffe, 3 1/4" blade, 6 3/8" overall; shorter Straight Back, 2 3/4" blade, 5 1/2" overall; longer Straight Back, 3" blade, 6" overall; and mini Clip Point with finger grip handle, 2 1/4" blade, 5 1/4" overall. Great little set of knives. Can't wait to put them to use. Already used 1 of them. Came razor sharp out of the box. Excellent quality. Highly recommend this set. When I opened this set up, I couldn't stop laughing! I purchased 2 sets of these knives thinking they would be great for processing deer... until I saw their size. I am now thinking they will be great for filleting Trout!! 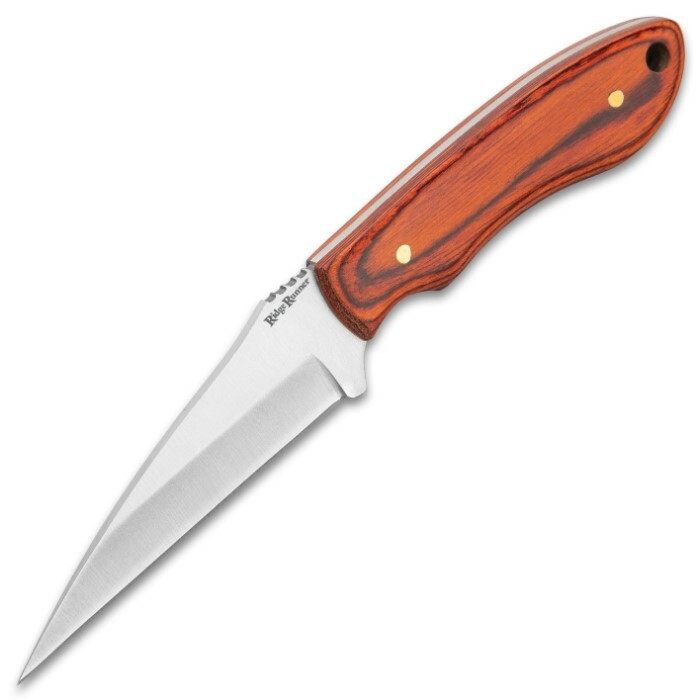 ( be sure to check the dimensions before purchasing) Great little knives at a great price.